Colored Stretch Film is your complete source. This 18" hand film is a premium quality film that is excellent for the industrial, office, moving, artistic, and home environments. 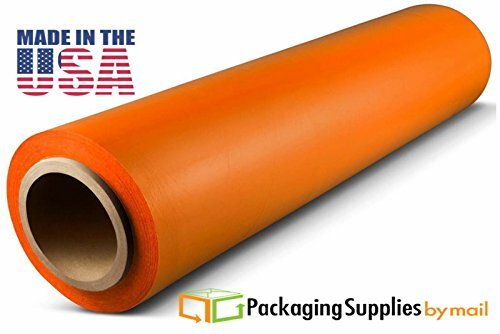 Like our blown stretch film, moving companies and individuals find this product effective because it will disguise valuables and simplify unpacking, making your items color classified. Same for industrial warehouses, this unique film makes your stock control easily categorized. 18 Inch x 1500 Feet x 63 Gauge. Self-adhering & residue free when applied. Economical-unitizes multiple packages for shipments, stock or storage. Labor/performance efficient-applies faster and securer than twine, tape & strapping. View More In Industrial Stretch Wrap Supplies.